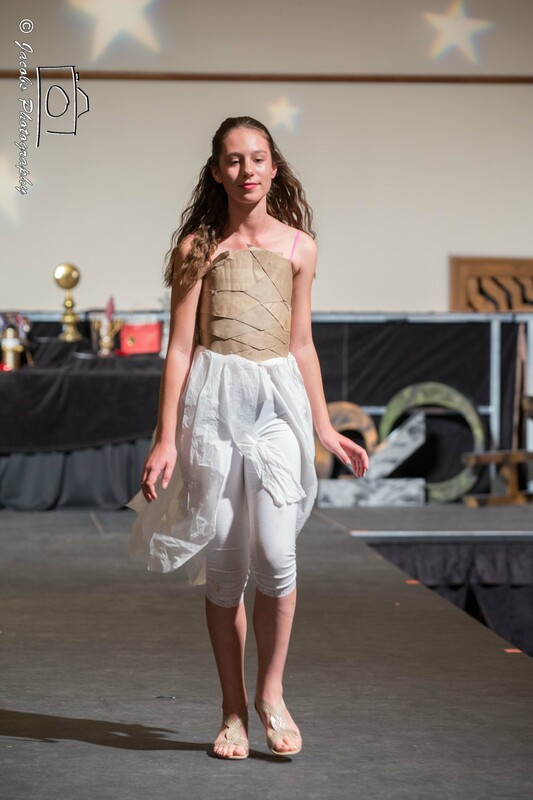 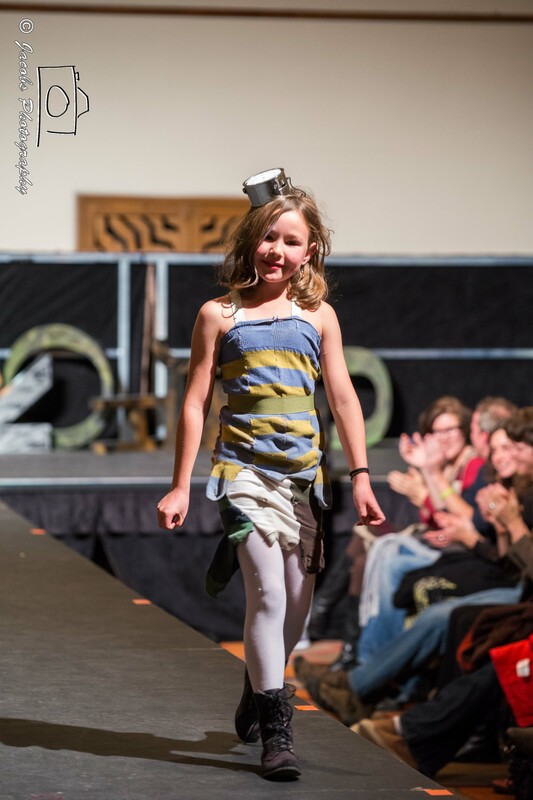 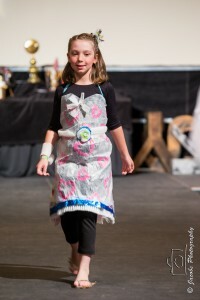 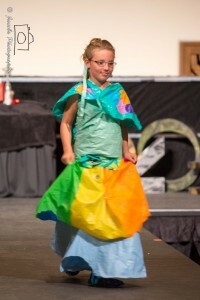 The 2013 Trash Fashion Show showcased over 30 contestants ranging in age from 4 years old to Grandmas. 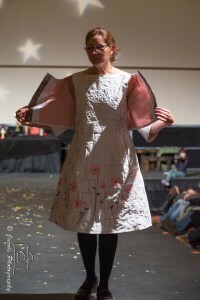 Our esteemed panel of judges included Tim Gray from the NM Environment Department; Brianna Fristoe a trained Costume Designer that studied at the London College of Fashion; Tom Nagawiecki from Los Alamos County’s Eco-Park; City Councillor Patti Bushee and Nancy Judd from Recycled Runway and one of the event’s founders. They had the difficult job of selecting winners based on creative use of recycled materials and fashionability. 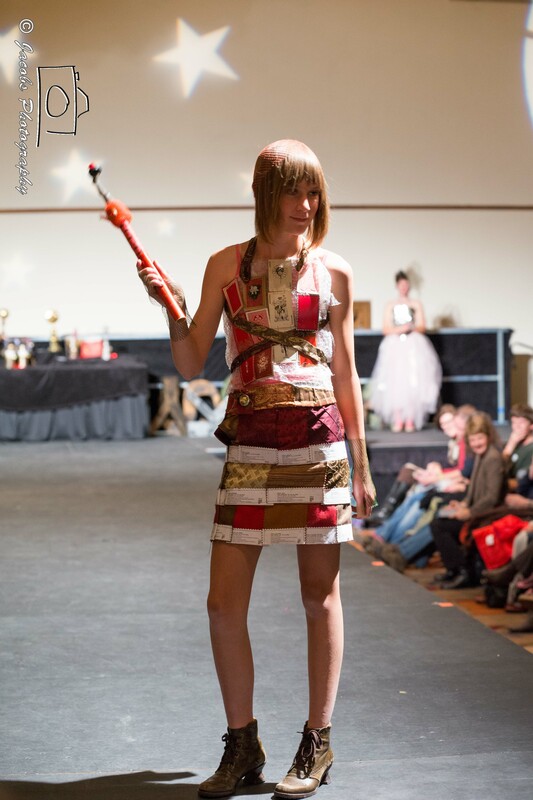 Liz Afshar’s First Place “What the Cluck” was made out of old chicken feed sacks with a surprise underneath! 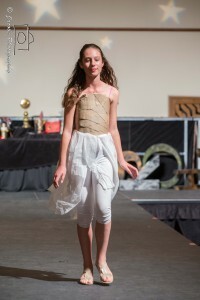 Katy’s dress above is made from recycled burlap coffee bags from Ohori’s Coffee, ruffled into a froth of a party dress and adorned with those cut up credit cards. Don’t charge it! Make Art!